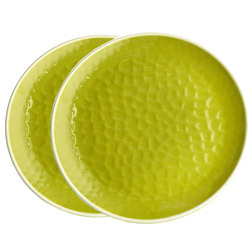 At last, lovely unbreakable crockery with a hammered appearance that neither cracks nor breaks. 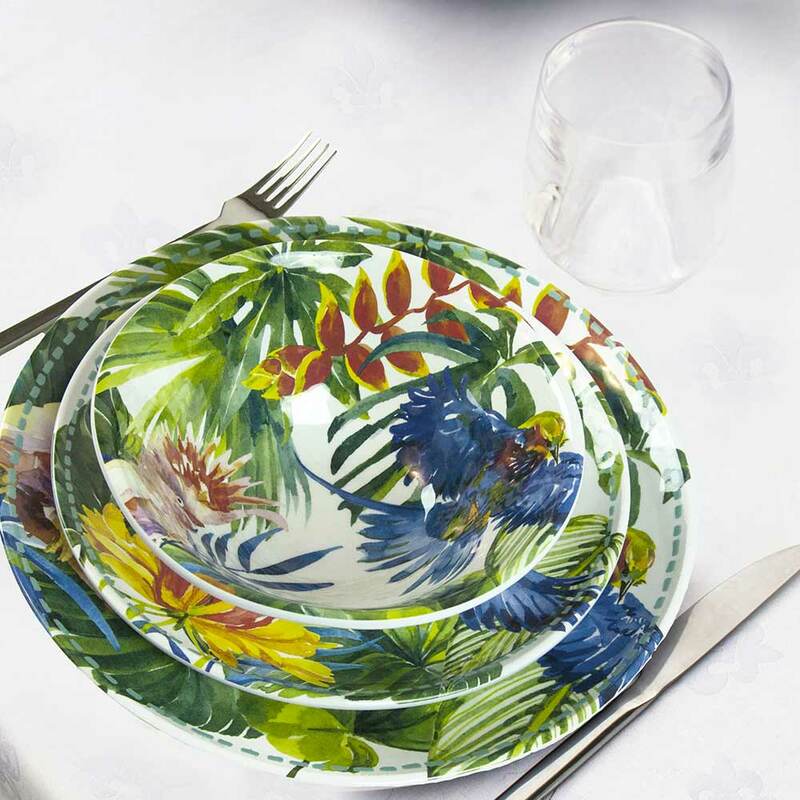 Its thickness and exceptional smoothness of feel equals the beauty of ceramic, but without its fragility thanks to the use of pure melamine, making it crockery of unique quality. 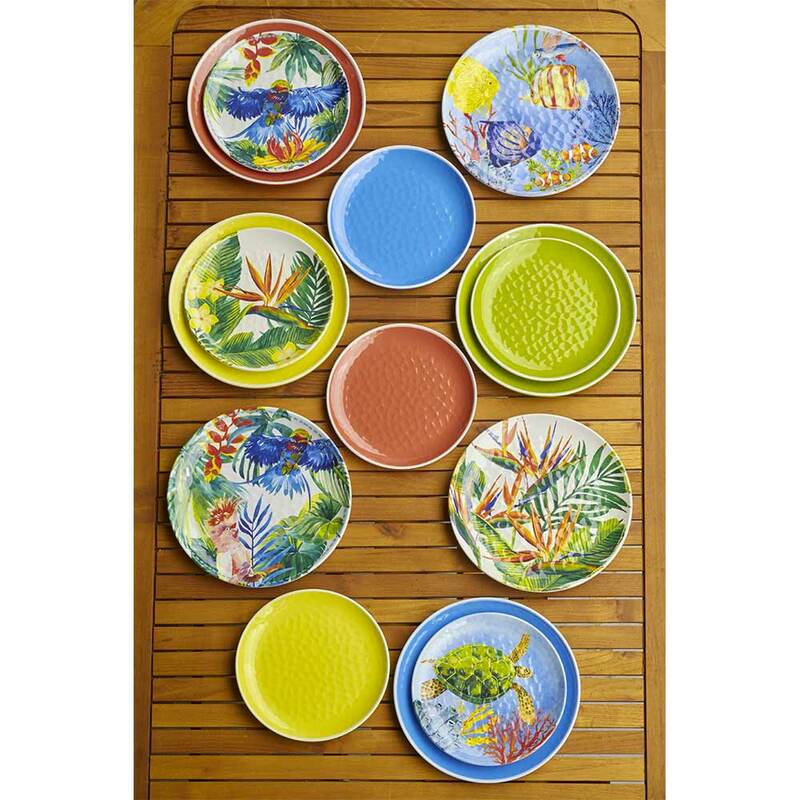 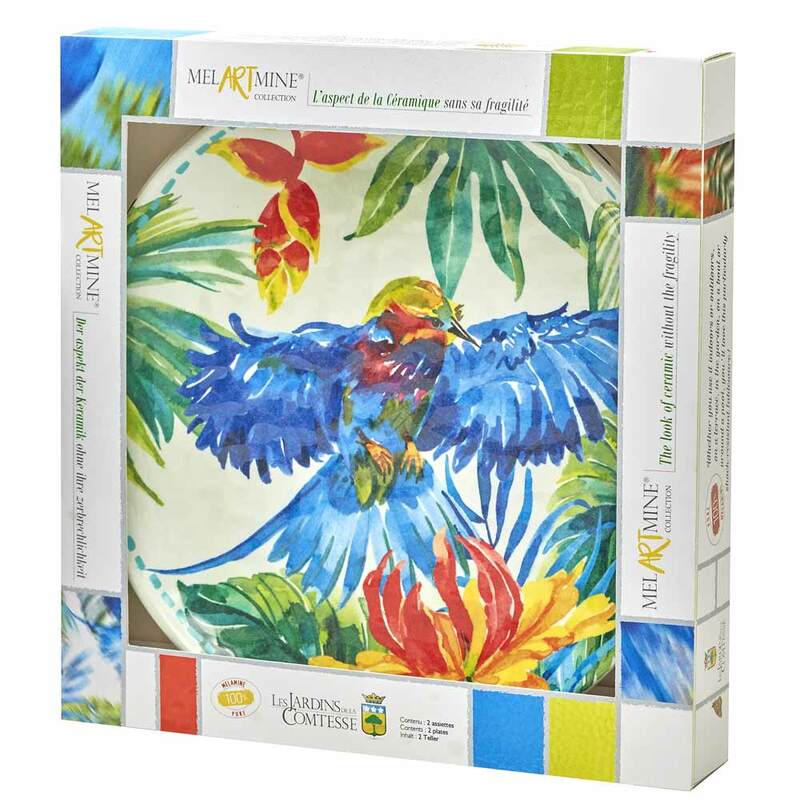 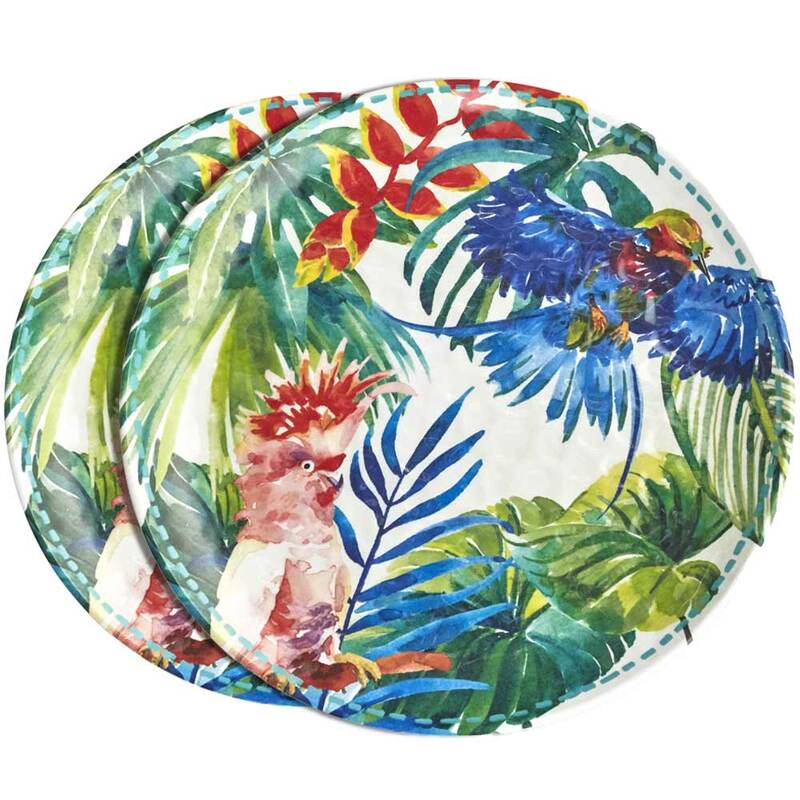 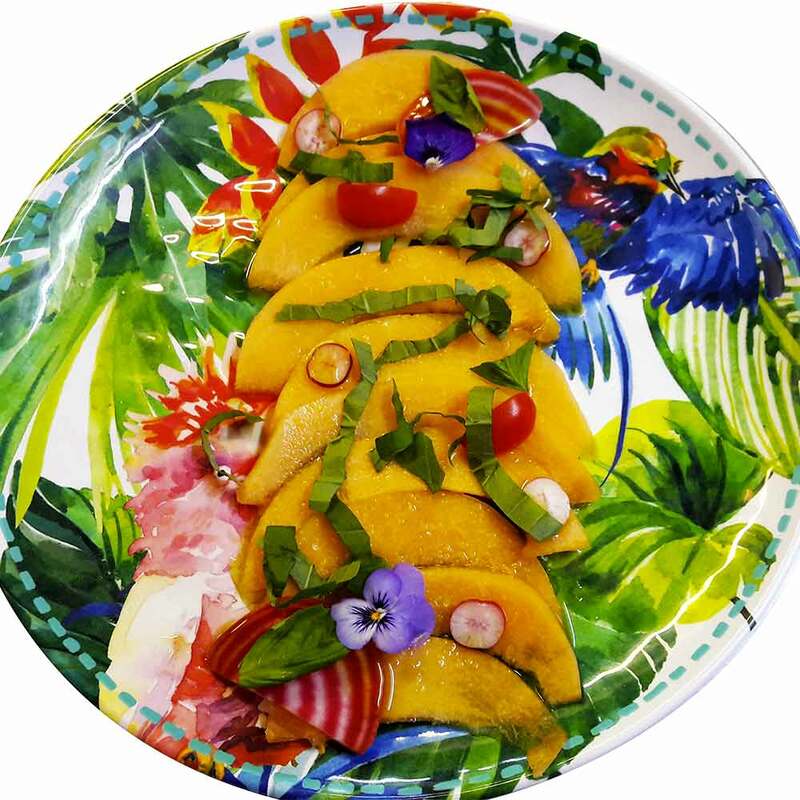 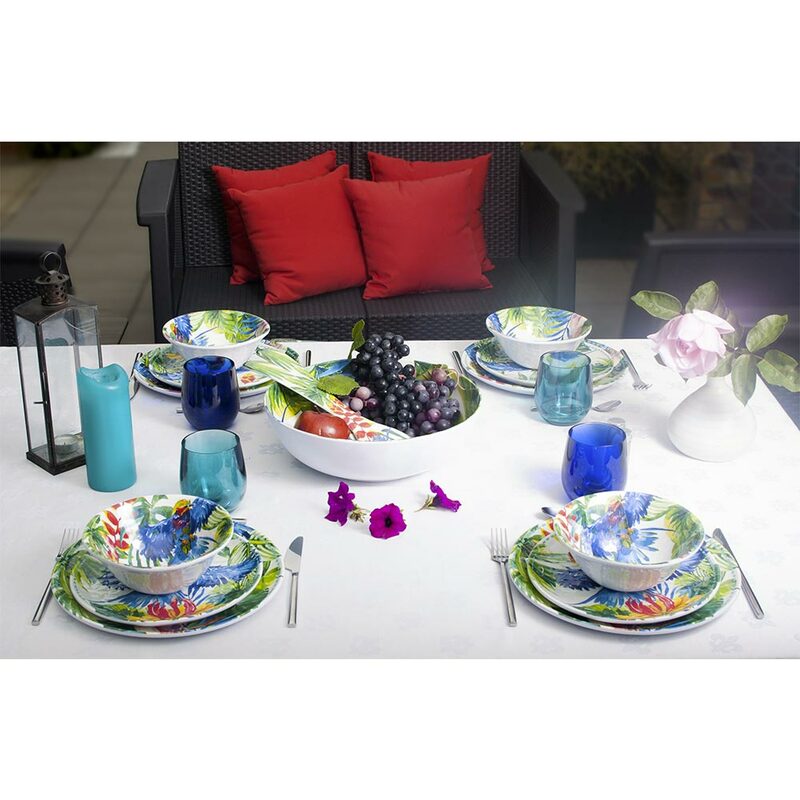 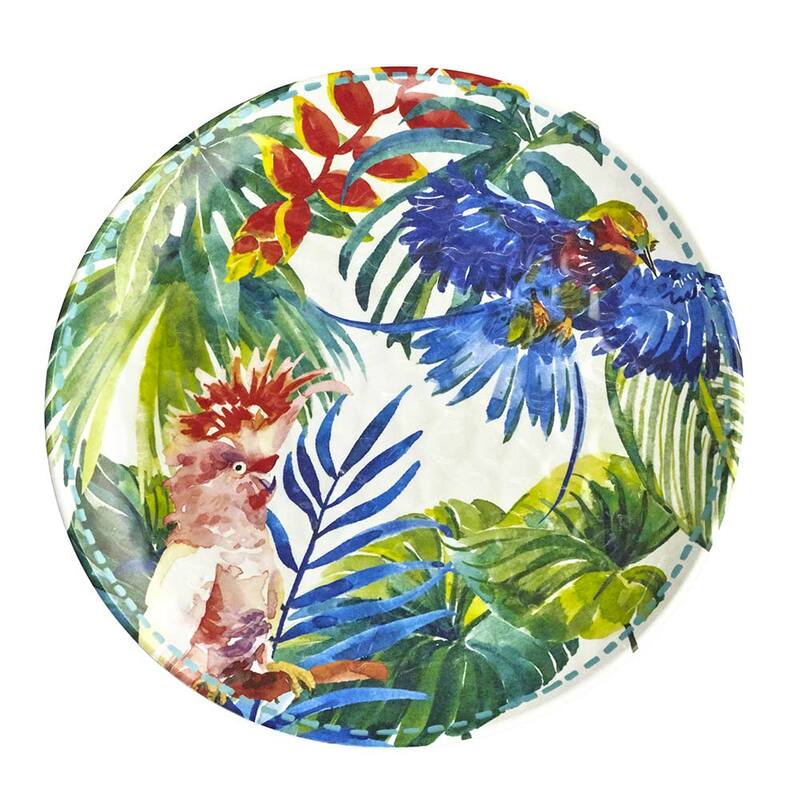 This 27 cm large dinner plate is just as suitable for use indoors as outdoors on the terrace, by the pool, for a picnic on the grass or for boat trips, for example. 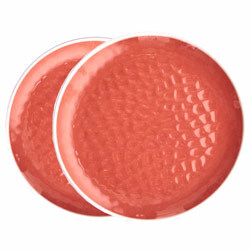 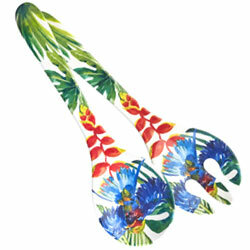 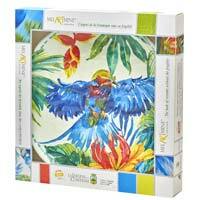 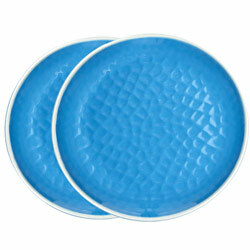 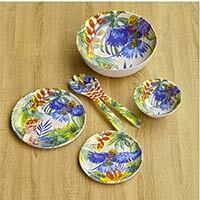 It will be just what is needed to heighten the beauty of your table settings. 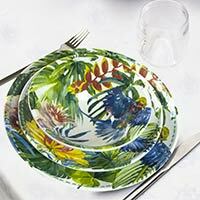 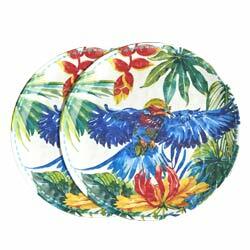 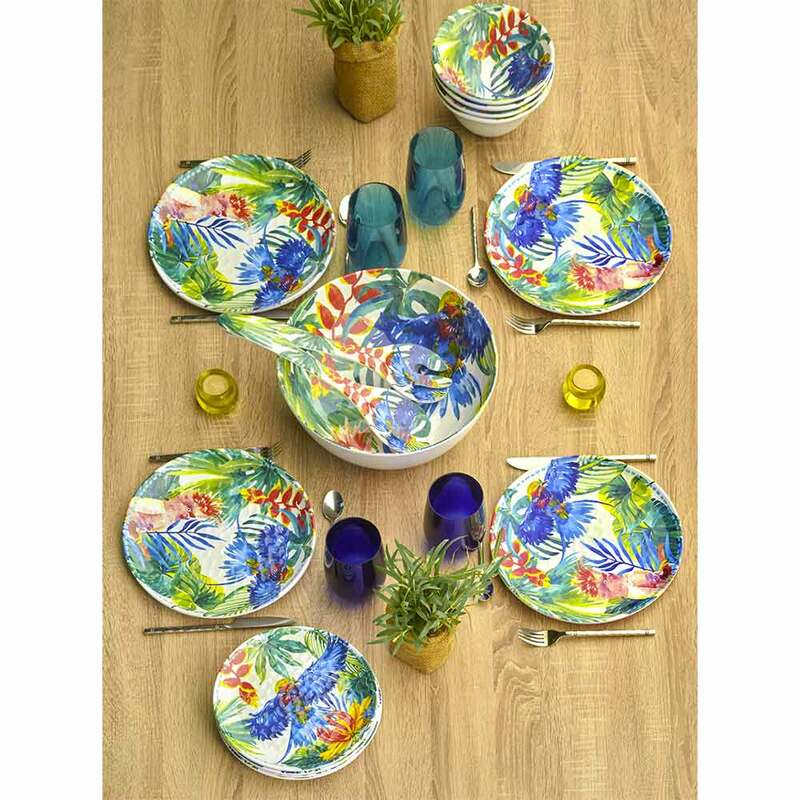 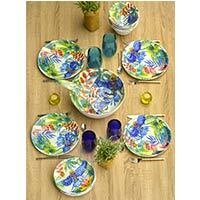 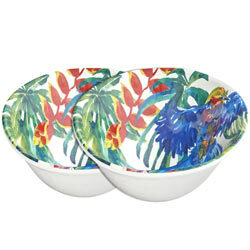 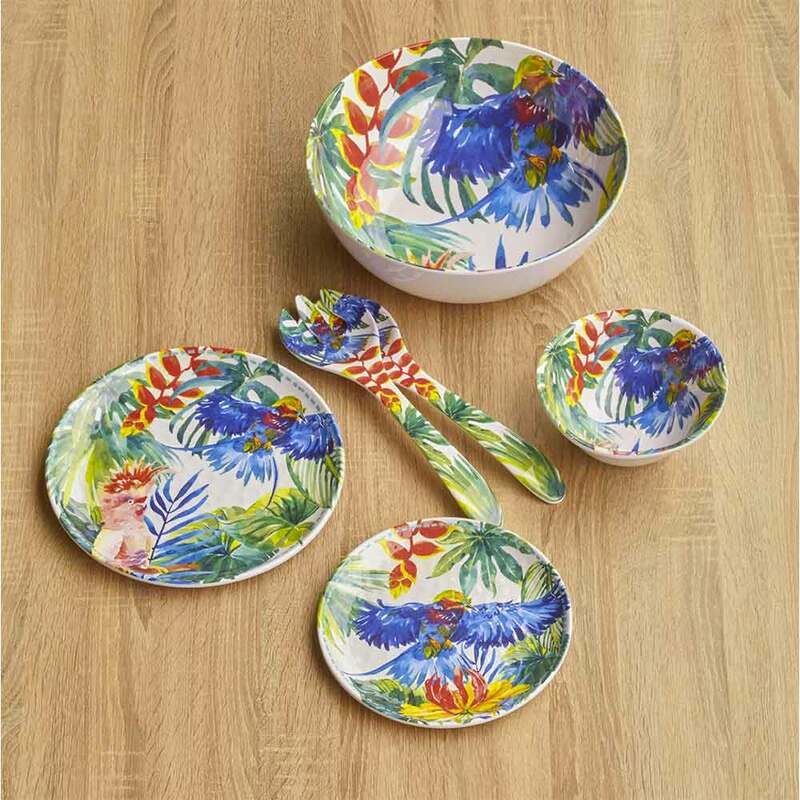 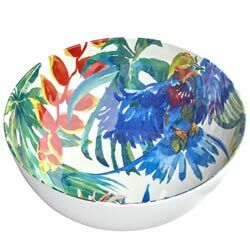 The "Tropical Birds” series comprises the bowl and small and large plates, as well as a salad bowl and servers with sparkling colours and graphic modern designs that differ for each one of the products.The dinner service can be laid out in a single design or be combined with the yellows, coral red, blues, greens of the Plain Colours collection range of dinner services, for unique and personalized tables that by bringing a touch of warmth and exoticism will be the admiration of all your guests.